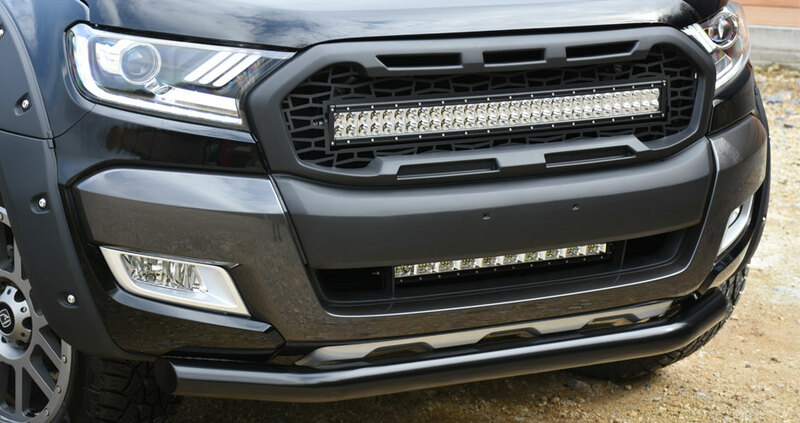 We have some exciting news today as we launch a brand-new product in our Predator Vision lighting range, The Predator Vision Double Row LED Light Bar Grille Integration kit for the Ford Ranger! 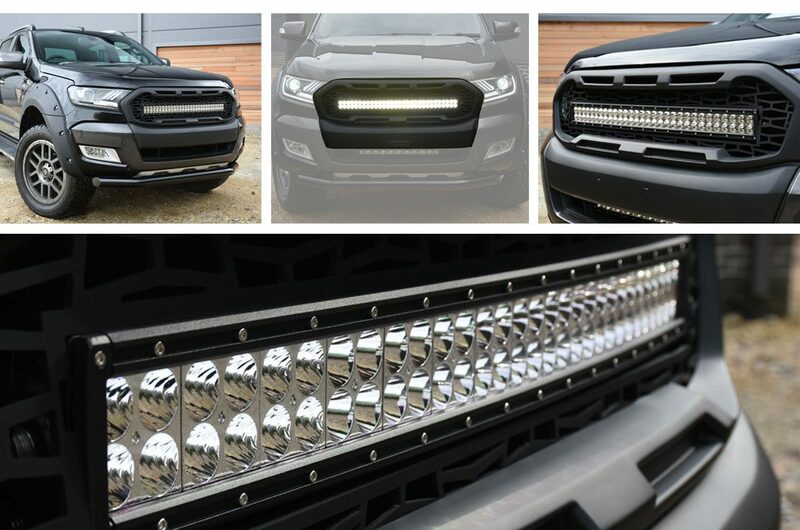 This new kit allows for integration of the Predator Vision 30 Inch Double Row light bar into the front grille of the Ford Ranger the integration kit includes a custom designed Predator centre grille with a complete new grille surround available in Matt Black & Wildtrak Grey. LED Light bars are one of the must-have essential for all 4×4 owners across the world. LED Off-Road lights offer drivers an intensely bright light; allowing you to see further and more clearly, while offering incredible energy efficiency. They also have a market leading brilliant lifespan when compared to a normal incandescent bulb. This new integration kit is designed specifically for the Ford Ranger 2016 onward giving your Ranger a distinctive look, and can be bought direct from our website. To complete the ultimate Ford Ranger lighting system, make sure check out our other Predator integration kit for the Ford Ranger. The Predators Vision 20″ LED light bar integrated in to the Ranger’s lower front valance is the perfect complement to this kit and is available to buy separately on our site. If you want help kitting your Ford Ranger out with the latest accessories call us on 01677 428799 or email us at sales@4x4at.com and one of our sales executives will be able to help.